Mobile internet hotspots, or mobile wifi hotspots, have sprung up to solve this problem when you travel abroad. These gadgets connect to local data networks using local SIM cards and then give you a local network to connect to via your wifi enabled phones, computers, and tablets. You can rent a mifi device or buy one, then load it with a local SIM card. Last year I rented a mobile wifi hotspot to use on our trip to Japan. It was something like $10 a day for unlimited internet access. We could carry it around and use it to connect several phones and computers, so Kevin and I were able to share it. It worked great, but we had to order it in advance, have it shipped to our hotel, and then we had to return it at the end of the trip. Because it was a multi-day rental, we paid for a few days when we actually didn’t need it. A few months later, I decided to buy an inexpensive ($65) mobile wifi device of my own before our trip to Italy and the Netherlands. I planned to buy local SIM cards in both countries, but this turned out to be harder and more expensive than I expected. I couldn’t find a local SIM provider at all in Italy. I did buy a card and get it installed in Holland but it wound up costing $45 US and I used up the very limited data up in only about 2.5 days. It was a frustrating experience. A few months ago I learned about a new option: Skyroam, a San Francisco-based startup that makes a pay-as-you-go and unlimited mobile internet hotspot. No need to reserve anything in advance or mess with local SIM cards. I met their team through our local Travel Massive meetups, and they offered to let me test out on our fall trip to Europe. I used it in the U.K., Hungary, and even on our Pennsylvania road trip. After you power the device on and press connect you’ll get a message that says, “You are about to consume 1 day of global roaming service”. Press “yes” and the internet (plus a 24-hour countdown clock) starts up. The device’s password is listed in one of the menus. Use that password and connect to it just as you would any other wireless internet network. When the time runs out, you just repeat those steps to load another 24 hour day pass. If you don’t need access right away, you can put it off for later, or even another day. We tried to stagger our day passes so that we were only using them when we really needed the access (i.e. waiting until the next morning to activate a new pass if we had free wifi that night at our hotel). Unlimited service–no worrying about how much data you’ve used. No SIM cards–no need to buy a local SIM card. Pay-as-you-go: Just pay for the days you need internet access. Use it every day, every other day, whenever. Only activate it when you really need it. If you visit more than one country in a day, you can use the same day pass. On our way home from Europe, we activated a day pass at the airport in Budapest, Hungary. We started it up again two hours later, on our layover in Frankfurt, Germany. If we had needed wifi when we landed in San Francisco ten hours after that, it would have still been working then, too. They aren’t available in every country. On our trip, we were able to use it in the U.K. at the beginning and Hungary at the end of the trip, but it didn’t work in any of the Balkan countries we visited: Croatia, Bosnia, and Montenegro (Update January 2016–Skyroam just launched service in Croatia!) They are adding new countries all the time, so check their website for the current coverage map. The connection is sometimes slow. There were a few days in London and in rural Pennsylvania, where the network ran quite slow. 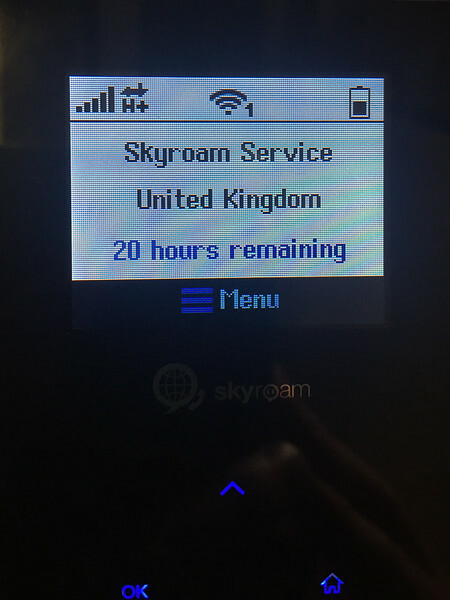 Skyroam’s website says they only throttle you after you’ve used a significant amount of bandwidth (350 MB in a day) but I’m sure we didn’t use that much data. 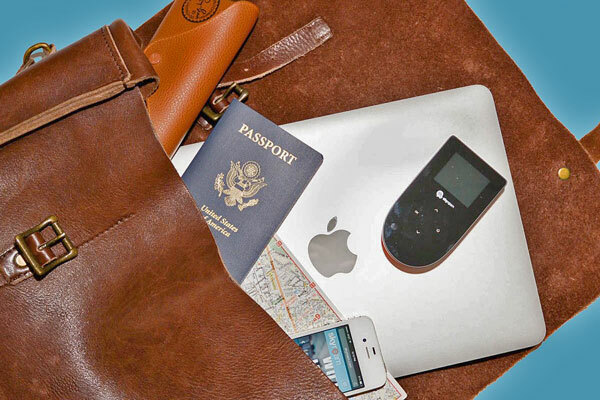 If you are a frequent international traveler or planning to visit more than one country on a trip, Skyroam Hotspot is much easier to use than other rented or owned options. The 24-hour “day pass” system of internet access is also good for shorter-term travelers who are looking for a quick and affordable way to get connected right away. 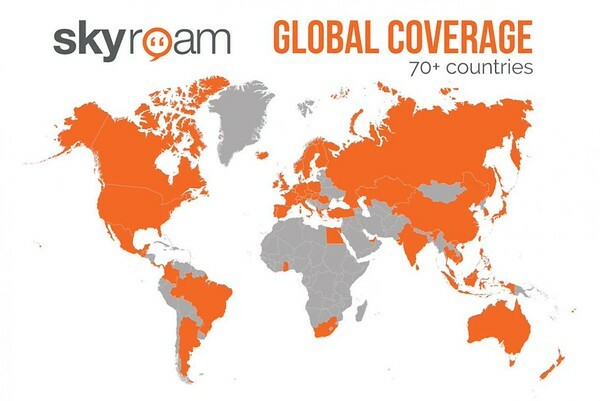 Check out the Skyroam website for more information. It’s also available on Amazon. 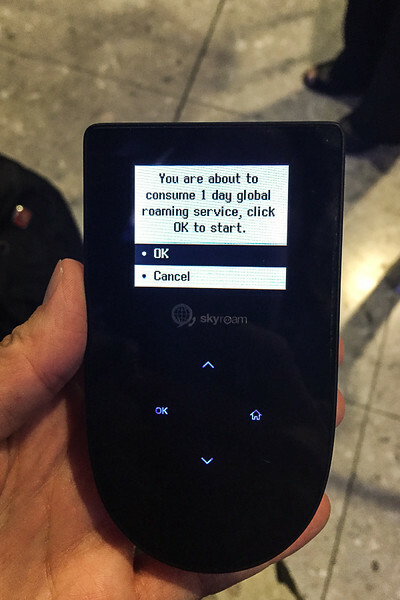 The company loaned me a device for this Skyroam review. All opinions are my own. Cassie this is an intriguing post for me. Often when we travel i feel like I want to poke my eye with a stick due to slow internet. Like you I just can’t unplug. When you talk about the internet being slow were you able to upload photos to your blog and social media? I also wonder about availability of the product in Canada. Hi Sue! It was usually fast enough for all of that–all of the regular stuff you would do throughout the day. It would slow down after using it for several hours. If you plan to be doing a lot of heavy stuff (like streaming video or uploading photos to cloud storage) I’d wait to do that stuff over wifi. It gets coverage in Canada, but I don’t know whether or not they ship to Canada. 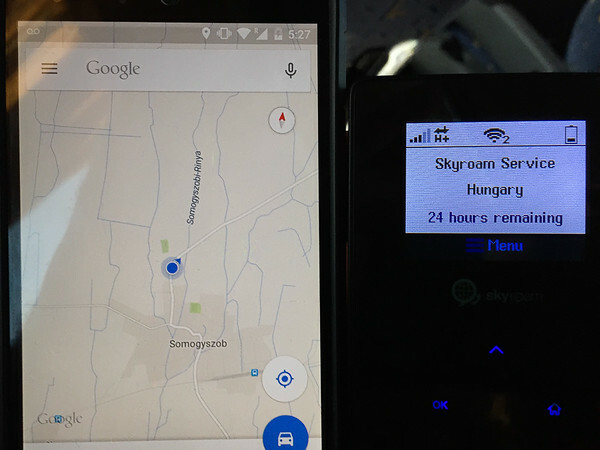 Hi Cassie – I just used a skyroam in Europe for a driving trip through Germany, czechoslovakia, and netherlands. It worked very well as we walked around being tourists, allowing us to use whatsapp and snapchat to let my husband know where his girls were. We also used it while driving to get google maps with traffic to augment the navigation. It did slow down at times, usually in rural areas or when crossing borders. But a little patience and a refresh and we were good to go. The real slowdown occurred when a daughter in the back seat was using spotify! It was wonderful peace of mind to have all phones on airplane mode at all times and thus have no roaming surprises (we received a $2,000 bill once when landing at the amsterdam airport!) I may use this in the US when I am doing a data for day, such as using navigation for a whole day, in order to preserve the data on my cellular account.